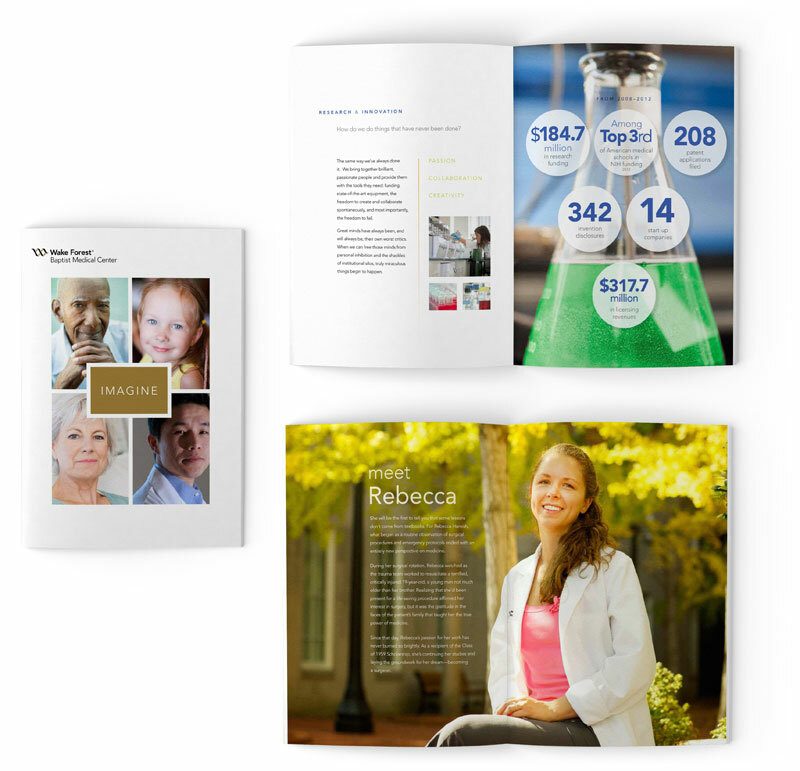 In support of Wake Forest Baptist Health’s donor engagement efforts, CCL created a suite of collateral ranging from individual patient stories to an overarching mission statement for their capital campaign. Among the more prominent pieces was this “door opener,” designed for gift officers to leave behind after an initial donor meeting. The piece tells the story of Wake Forest Baptist by focusing on the individuals and motivations that make up their institution. They are a passionate, gifted group of doctors, nurses, students, and patients, all of whom work together collaboratively for the good of tomorrow’s patients, and those being treated today.